Tenerife culture. 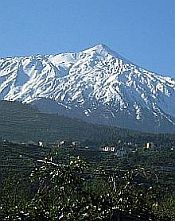 Yes, as well as being a holidaymaker's paradise, Tenerife has much cultural activity, too. I suppose, by "culture", we mean things like museums, art galleries, theatres and classical music concerts. I'll be attempting to list as many of these types of things here as I can. 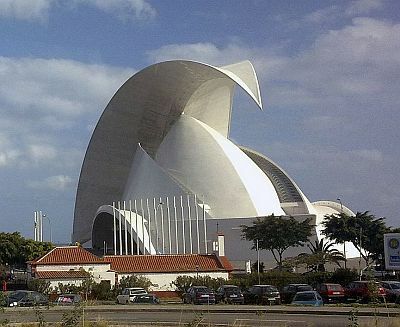 Its English translation being "Tenerife Auditorium", this striking building is found in Santa Cruz, Tenerife's capital and hosts all manner of cultural events and is home to the Tenerife Symphony Orchestra. Commonly known as "TEA", this is a large exhibition centre in the heart of Santa Cruz, housing an art gallery, photography centre and library. A cultural centre in the south to rival the Auditorio de Tenerife, this striking building situated in Adeje has been open since 2005. An honest-to-goodness castle and museum in an idyllic setting featuring classical music concerts and other events. Known, in Spanish, as the OST, or Orquesta Sinfónica de Tenerife, this is a world-class symphony orchestra, based in Santa Cruz. A small group of musicians performing intimate concerts of chamber music, with the accent on the Baroque era. An orchestra and choir dedicated solely to the performance of film music. A chamber orchestra consisting of members of the Tenerife Symphony Orchestra, whose repertoire includes music from musicals as well as classical. A symphony orchestra made up of young musicians. Another chamber orchestra describing itself as "an orchestra of Canarians, for Canarians and for the world". There is an organisation on the island called El Organismo Autonomo de Museos y Centros de Tenerife, or "Autonomous Organisation of Museums and Centres of Tenerife", which oversees the various museums and is dedicated to the preservation and protection of the island's cultural heritage, whilst promoting interests in science and education. A museum divided into two locations, one in La Laguna, the other in the nearby town of Valle de Guerra. Also found in La Laguna. Found in Santa Cruz, this museum has exhibits tracing Tenerife's military history. Found in the island's north-western town, this deals with Tenerife's Guanche heritage. In El Sauzal, this is a museum dedicated to wine! Literally "the house of honey", this is an annex to the Casa del Vino, above, and is dedicated to the manufacture of honey and the preservation of the bee-keeping fraternity. This is situated at La Orotava and is a sort of "folk" museum, exhibiting artefacts such as musical instruments, textiles and ceramics. It exists to promote relations between Spain and America. Teatro Guimerá is a theatre found in Santa Cruz and is an establishment founded in the 19th century. It puts on all manner of cultural events. Found in La Laguna, this theatre was built in 1915. It stages a lot of variety shows and, notably, is the venue for the premiering of motion pictures. Situated in Santa Cruz, this venue seems to be dedicated to dance, from classical ballet to contemporary. It is also a dance school.